De-middle and slice apples thin. *keep a handful of slices to area on the pinnacle, like I did. Add the cinnamon, lemon juice, sea salt, vanilla honey into the apples and integrate till all the apples are covered. In a separate bowl, wisk collectively the eggs. Add in coconut milk and coconut flour to create a batter. Pour the batter proper on top of the cooked apples inside the cast iron skillet. *Place the saved sliced apples on top. Wear oven mitts for this step! Grab the new pan and transfer it into the oven for 40 minutes. 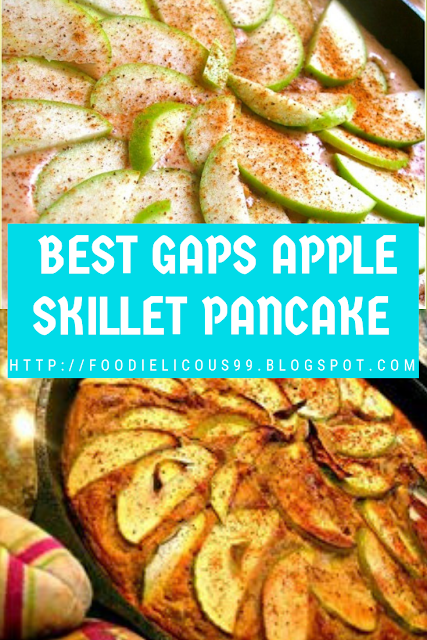 Enjoy your GAPS friendly breakfast!